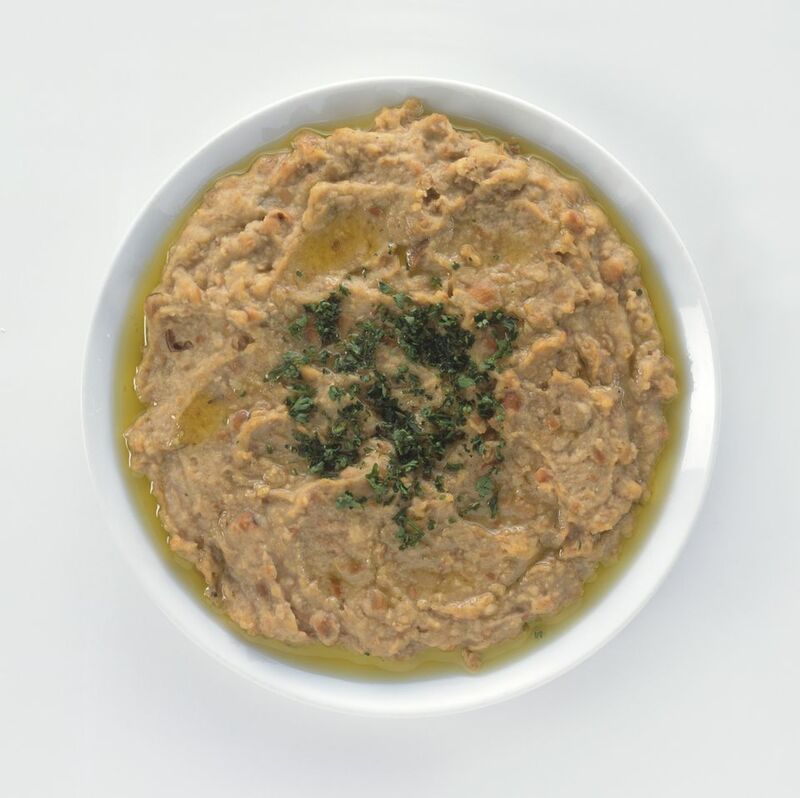 If you enjoy hummus, you will like ful, a Middle Eastern fava bean dip reminiscent of the better-known spread made with chickpeas. The traditional way to enjoy it is scooped up with warm pita bread for breakfast, though it can be eaten at any time of day. This recipe is super simple -- no boiling of dried beans required! In a saucepot, combine fava beans (with liquid), minced garlic, and lemon juice. Bring to a boil. Remove from heat. Drain excess liquid and coarsely mash fava beans with fork. Return to low heat. Add tahini and salt. Add water and olive oil, one tablespoon at a time, and stir to desired consistency. Add more water or olive oil, if needed. Garnish with parsley, if desired. Serve ful for breakfast with hot pita bread.